Why We Get Fat and What to Do About It, by Gary Taubes, 2011. List Price -$24.95. A set of 8 stainless steel steak knives. Retail value – $80.00. We are celebrating the release of Nourished; A Cookbook for Health, Weight Loss, and Metabolic Balance by giving away some fabulous prizes. Six (so far) prize packages will be announced here on my blog over the next six weeks, starting today, January 1st, 2012. Entry deadline for prize package #1 is Saturday January 7th, at midnight. At the end of each week, one lucky winner will be randomly selected and a new sweepstakes for the next prize package will start the following week. There are a number of ways to enter. Each approved activity from the list below will give you one entry to win one of the prize packages. You may enter up to once a day for each of the prizes packages for a total of 7 entries per person per prize package. One winner will be announced on my blog at the end of each week. All non-winning entries will be discarded. New entries are required to be eligible to win the next prize package. Leave a comment on my blog at www.carbwars.blogspot.com and tell me that you want to enter the current Nourished giveaway or send me a message at www.judy@carbwarscookbook.com, then tell me which of the activities you did. You will get one entry for each activity. Be sure to include an e-mail address and/or a phone number where I can reach you. I will notify you if you win and get your address. Winners will be announced on my blog. Good Luck! 2. Post a comment or a review about Nourished on you own blog or website or mention it on another site where permitted. 3. Add a comment to any of my blogposts at www.carbwars.blogspot.com. 4. LIKE us on Facebook http://www.facebook.com/profile.php?id=100000564656569#!/profile.php?id=100003192738073&sk=wall or LIKE Judy Barnes Baker’s Books Page on Facebook www.facebook.com/pages/Judy-Barnes-Bakers-Books-Nourished-Carb-Wars/244707018931254. 5. Sign up to follow my blog at www.carbwars.blogspot.com. 7. Or come up with another way to spread the news and tell us what you did when you enter. 2. Sweepstakes open to legal residents of the 50 United States and the District of Colombia at least 18 years of age or older on date of entry. Void where prohibited. 3. One prize package per person. 4. The number of eligible entries received will determine the odds of winning. 5. Winners are responsible for any applicable taxes. 6. If a prize is not claimed by the winner within 2 weeks of the drawing, it may be forfeited and an alternate winner may be chosen. 7. Judge’s decisions are final. 8. Participating entrants agree to all the rules and condition of this sweepstakes. 9. All Federal, State/Provincial, and local laws apply. By participating, entrants agree to release, discharge, indemnify, and hold harmless the sweepstakes Entities and each of their respective officers, directors, employees, representatives, and agents from and against any claims made by winners, entrants, or any other third parties, related in any way to the operation of this Sweepstakes as well as any other claims, damages, or liability due to injuries, damages, or losses to any person (including death) or property of any kind resulting in whole or in part, directly or indirectly, from acceptance, possession, misuse or use of any prize or participation in any Sweepstakes-related activity or participation in this Sweepstakes. 11. Disclosure: Some of the companies and individuals who have donated awards for this giveaway have provided me with samples of their products. 12. Giveaway sponsored by Duck in A Boat, LLC, PO Box 1185, Snohomish, WA 98291..
What a generous and fun way to roll out your new cookbook! Thank you, Judy. Do you want to enter the contest? If so, you need to give me an e-mail address or a phone number so I can reach you if you win. You can send it to me at judy@carbwarscookbook.com if you don't want to put it in a comment here. 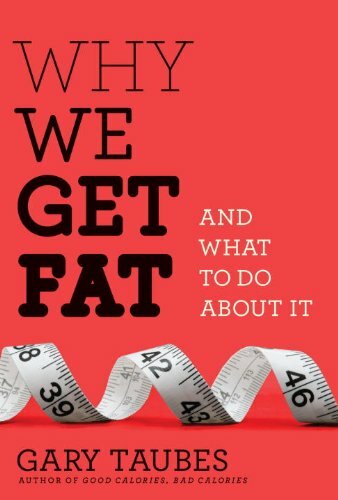 Glad to see this book making it past the inertia of failed dietary advice. Well done! I am super excited about your new cookbook! Congrats! There are two typos in your post for the links to buy the book! The Danforth Books link is myshopify, not myshipify, and the LC Foods link is corp, not coorp. Hopefully the fact that it's out of stock on Amazon is good news. I would prefer the ebook version if it's available, but Amazon doesn't show it available yet. I've been following your blog for a while. Eek! Thanks for finding the typos. Can I hire you to edit my next book? I've been working on getting the e-book version out, but it will be a while longer. Sorry for the wait. The Kindle will have to be sold on Amazon, I just hope they can get that right!